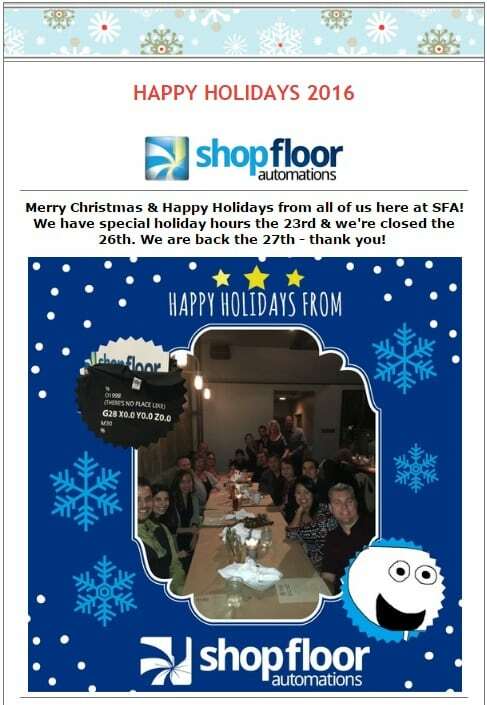 This is an archive of our Holiday 2016 Shop Floor Automations Newsletter. Merry Christmas & Happy Holidays from all of us here at SFA! the 27th – thank you! Check out the new Holiday-themed Shop Floor Man comic strip. Enjoy!